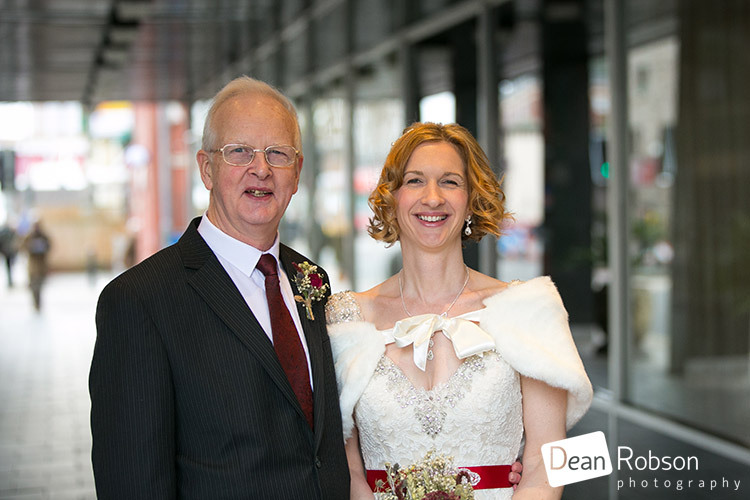 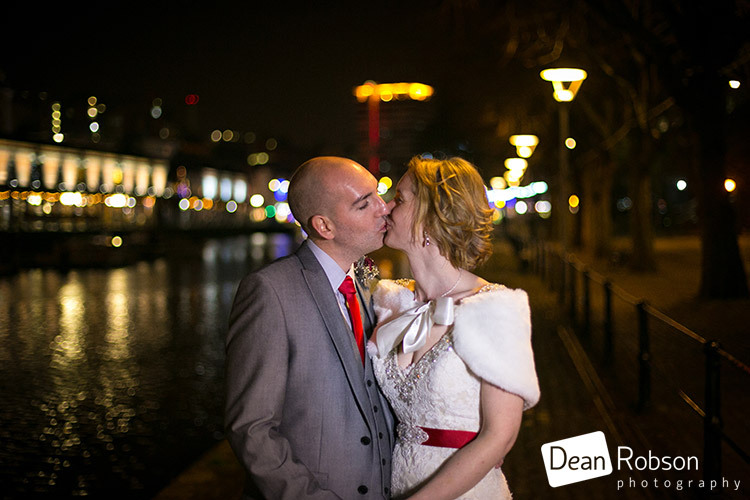 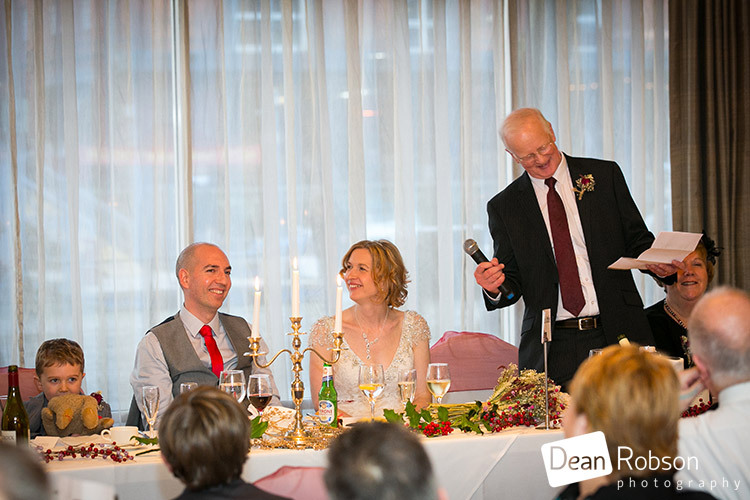 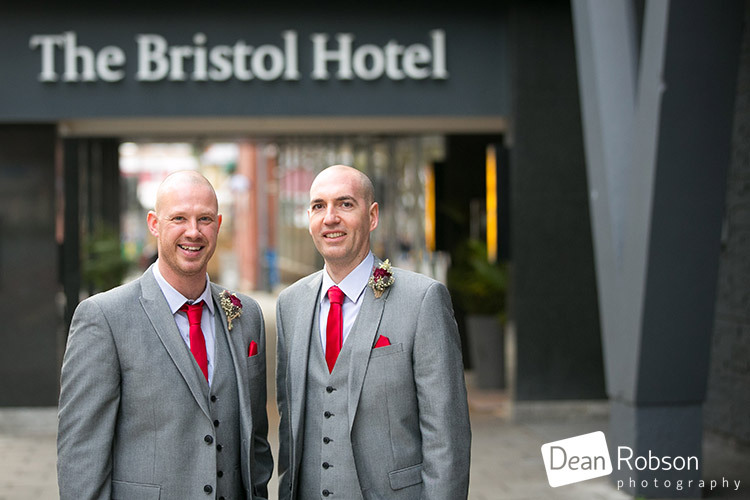 Wedding Photography at The Bristol Hotel: On the last week in December I photographed this wedding for Hazel and Andy at The Bristol Hotel in the city centre of Bristol. 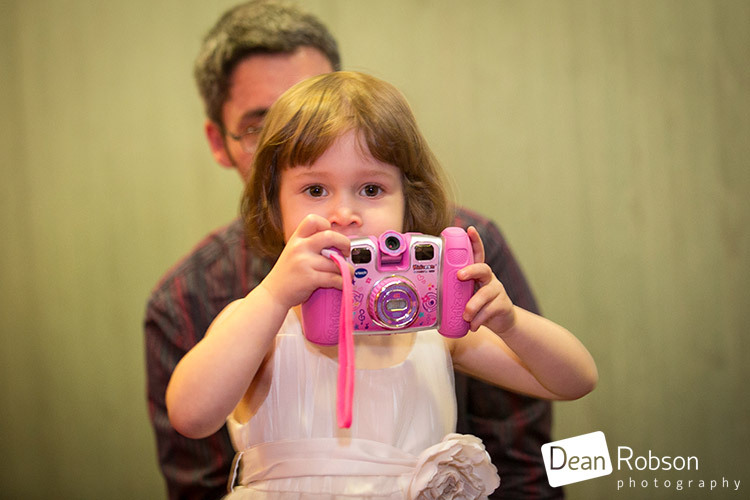 Occasionally I am asked to travel to shoot weddings, and whenever possible, I do enjoy doing this. 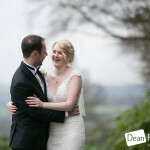 The weather up to the wedding had been a bit mixed, but on the day stayed dry, not too cold for the time of year and the sun even made an appearance. 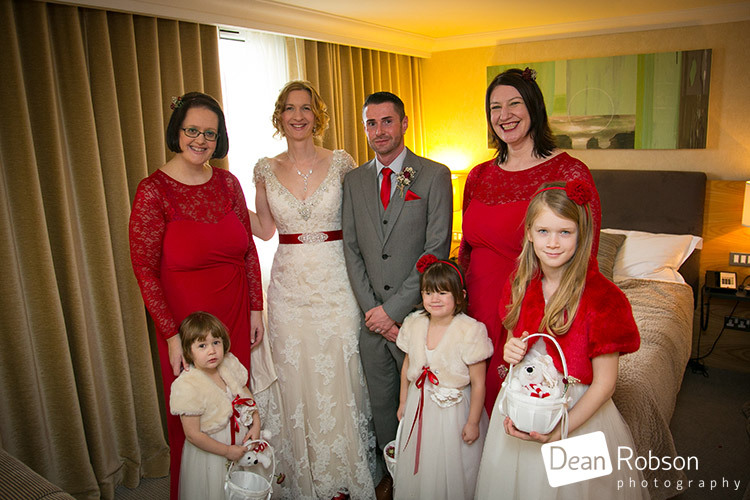 I met up with the bridal party on the morning of the wedding where they were all getting ready at The Bristol Hotel. 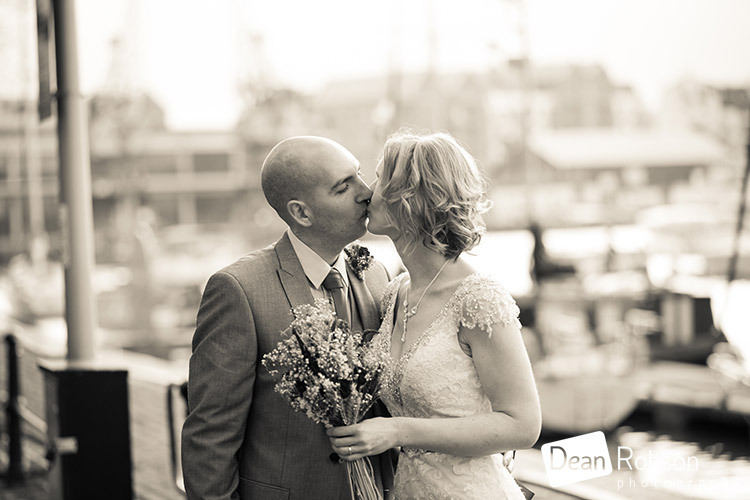 The hotel itself is situated right on the waterfront by the Bristol harbour and docks. 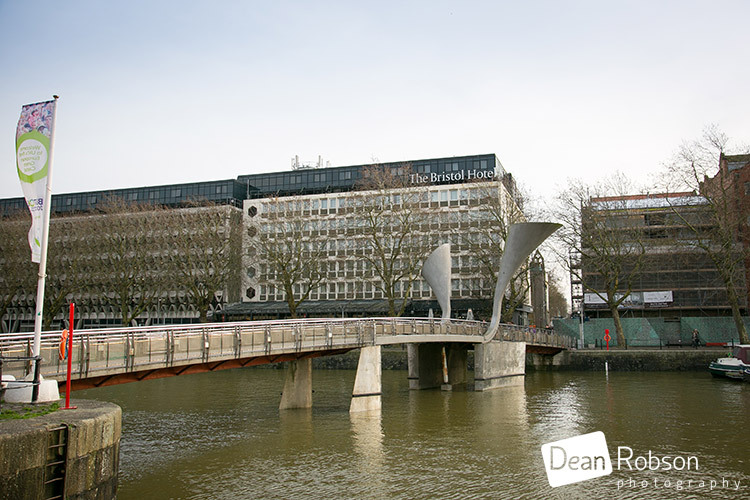 Pero’s Bridge links both sides of the dock. 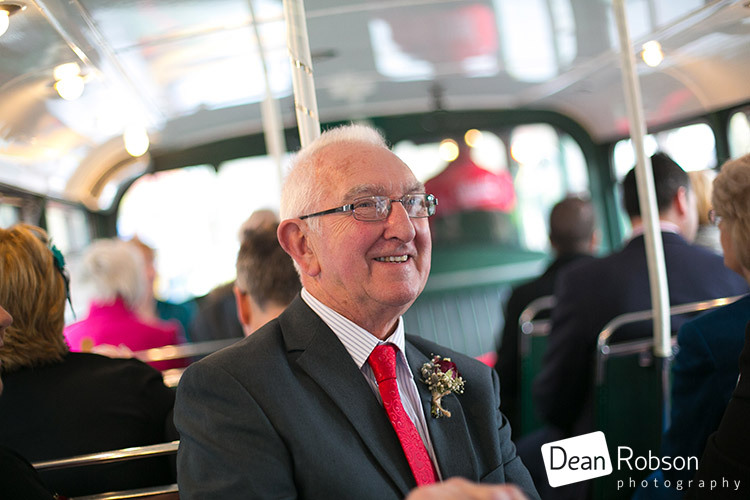 The bridal party had a vintage bus to take them to the ceremony. 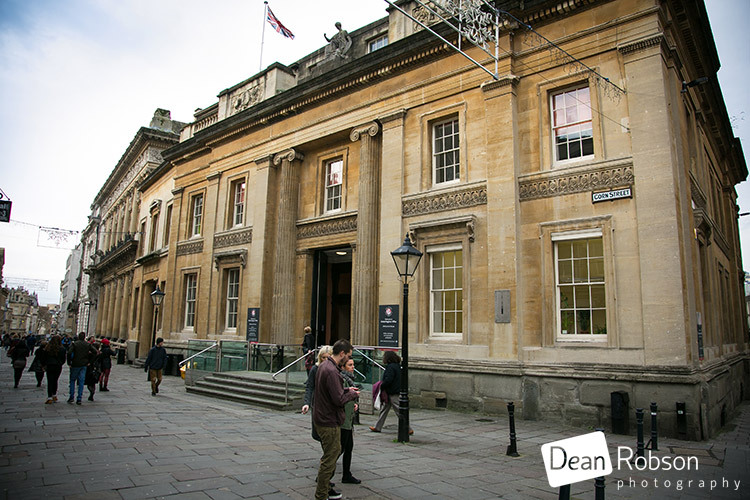 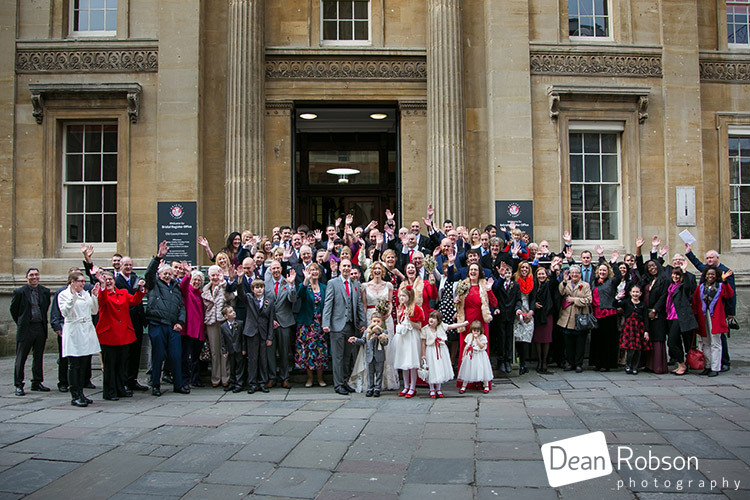 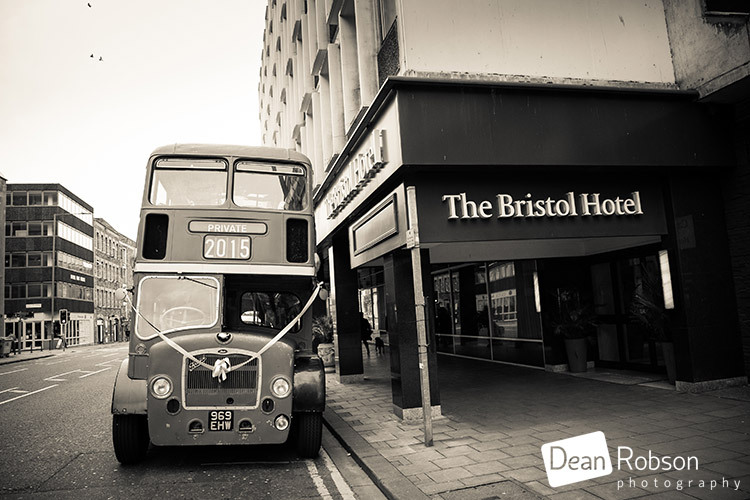 The bus took us the short journey to The Bristol Registry Office on Corn Street where the ceremony was due to take place. 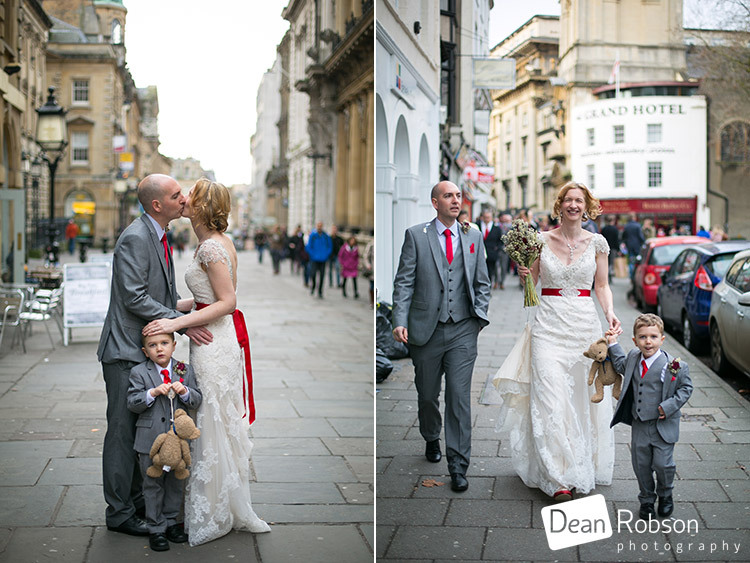 After the ceremony we had a few photographs in the street outside the registry office before returning to the hotel conference centre for the reception. 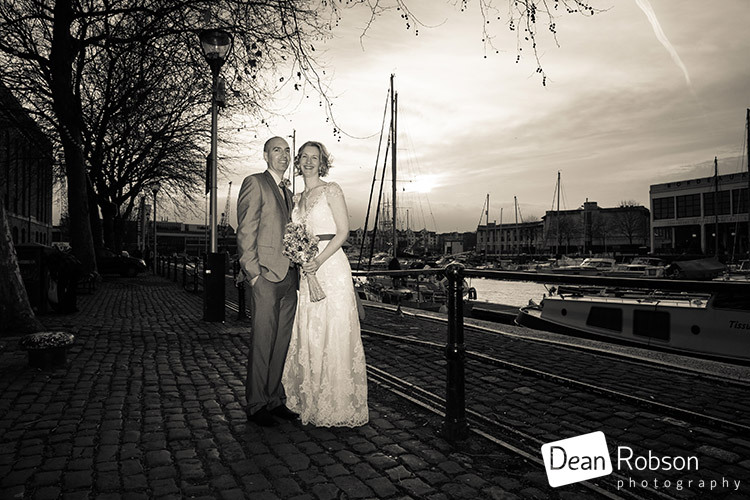 I took the couple for a few romantic photographs outside by the harbour. 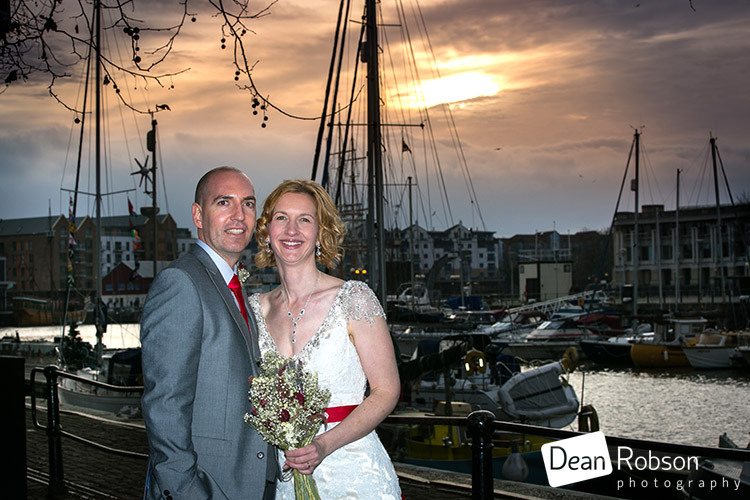 There was even an opportunity to get a sunset. 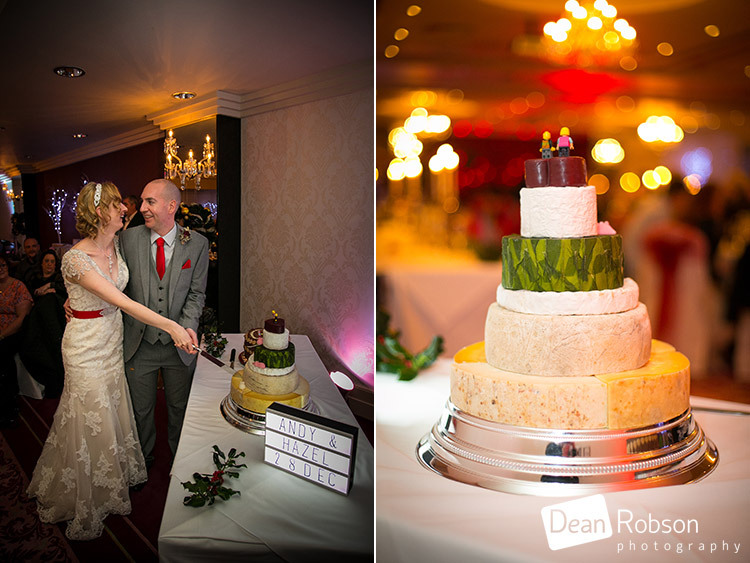 After the wedding breakfast the couple cut their wedding cake (made of cheese!) 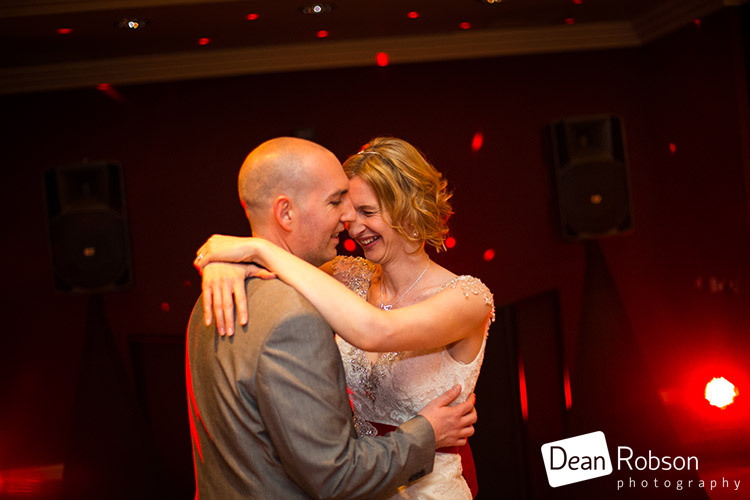 and had their first dance. 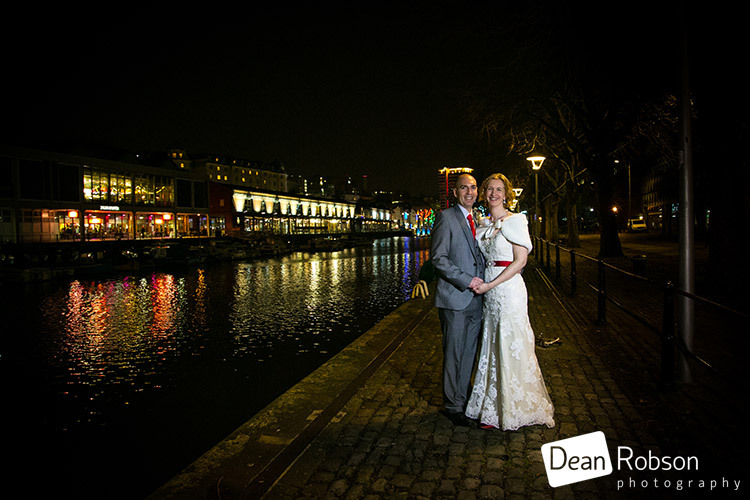 As the harbour-side is lit up at night we couldn’t resist having a couple more photographs! 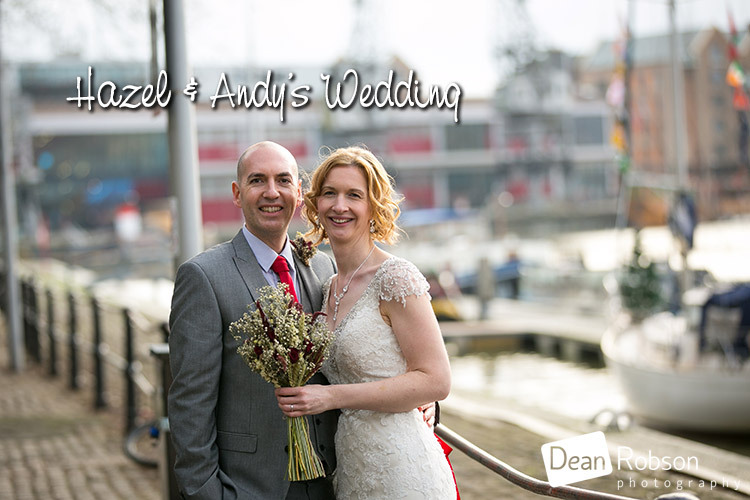 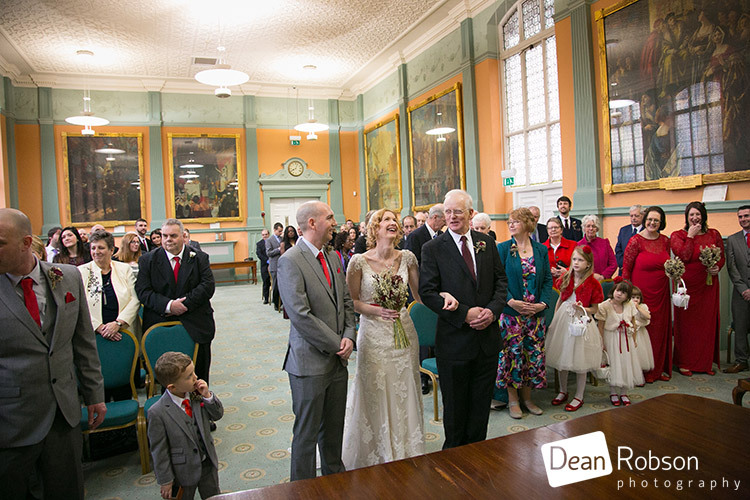 I had great fun shooting Hazel and Andy’s wedding, and it was lovely to return to the city that I grew up in. 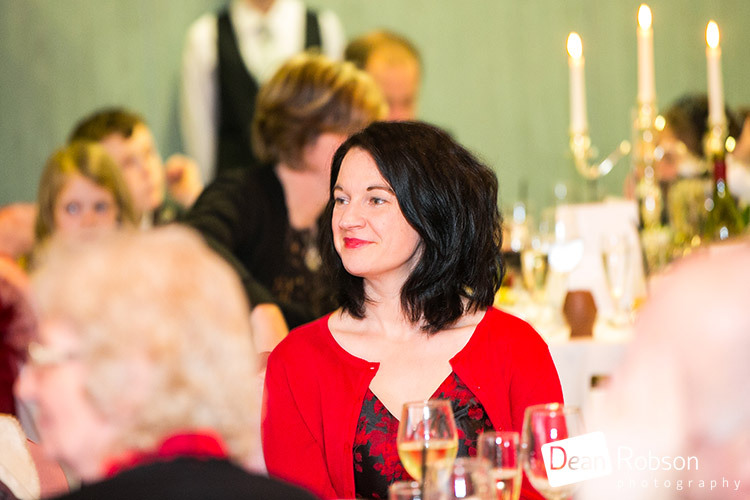 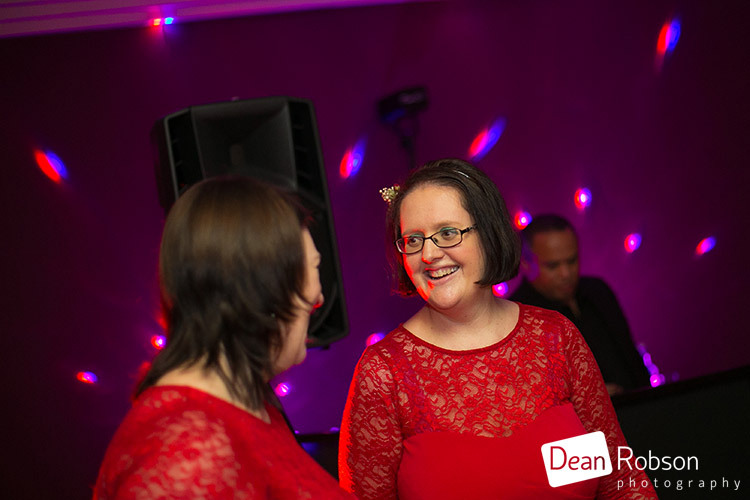 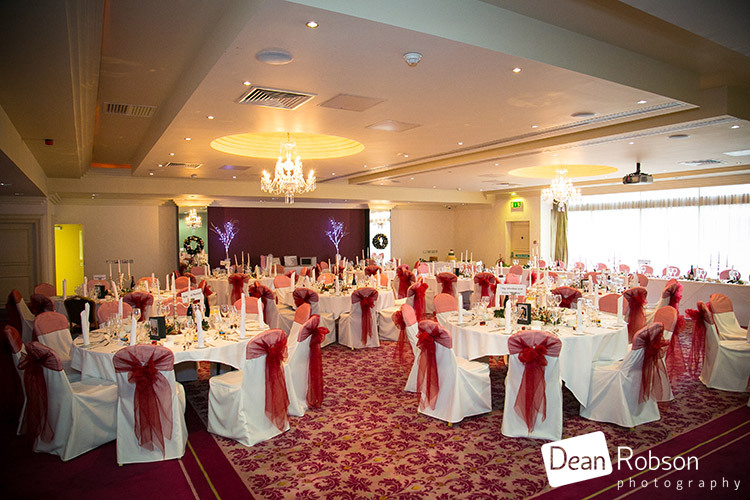 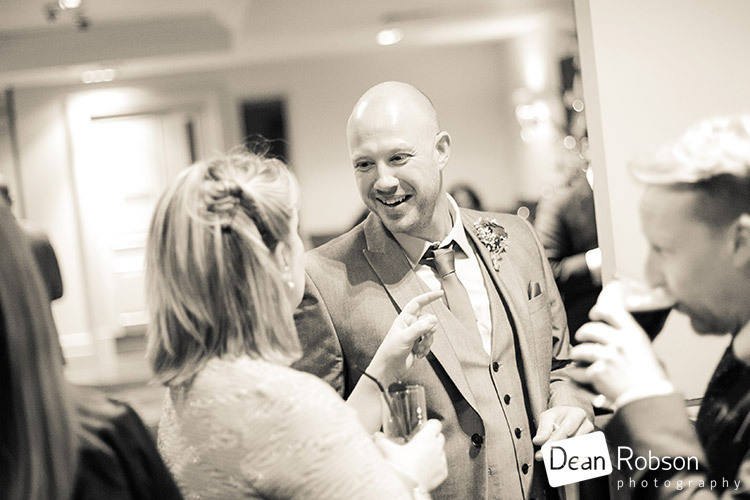 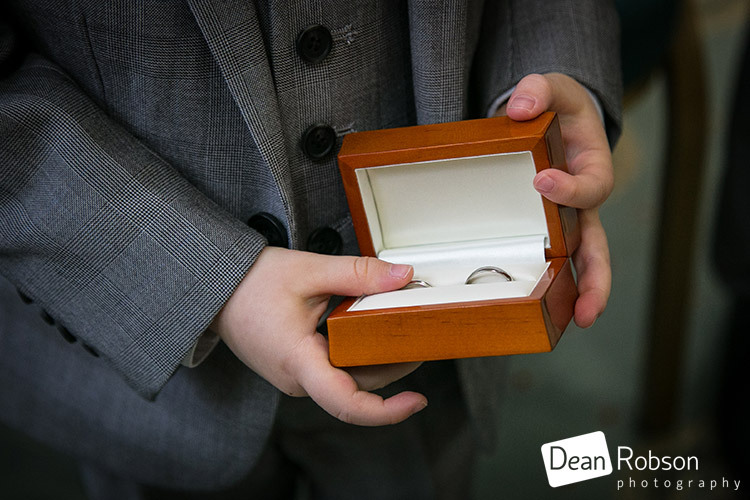 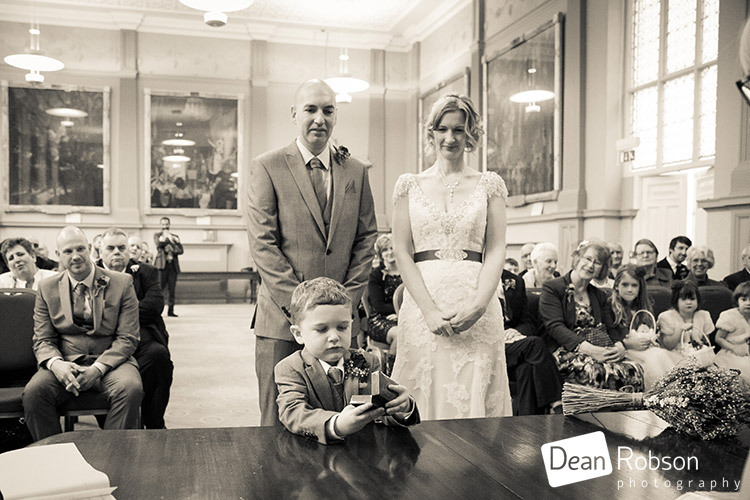 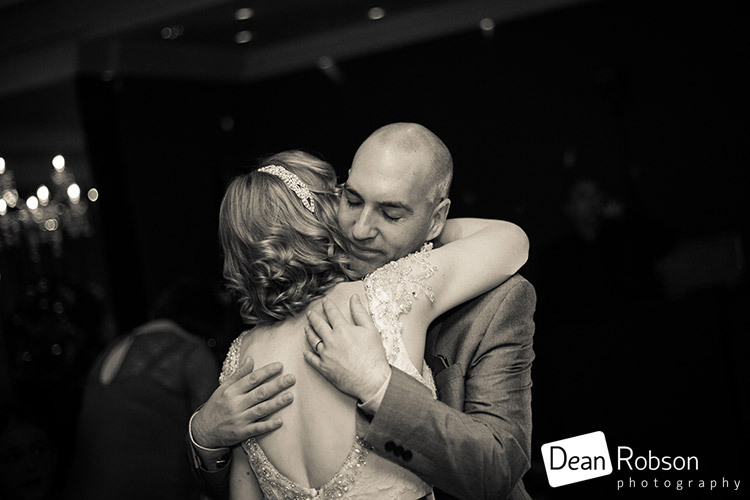 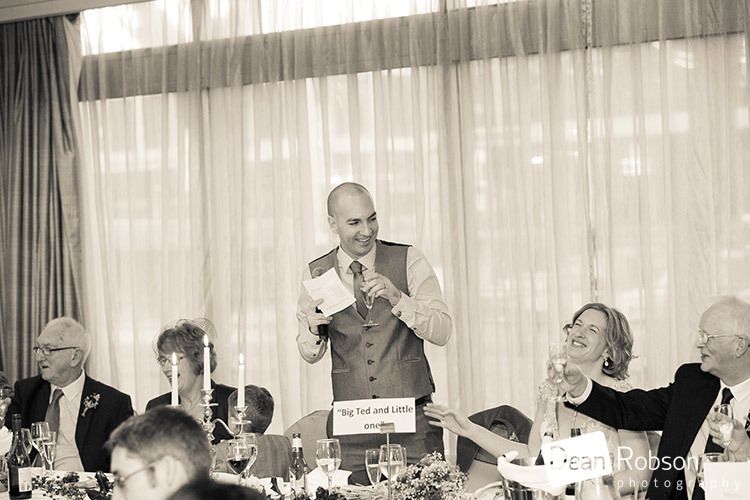 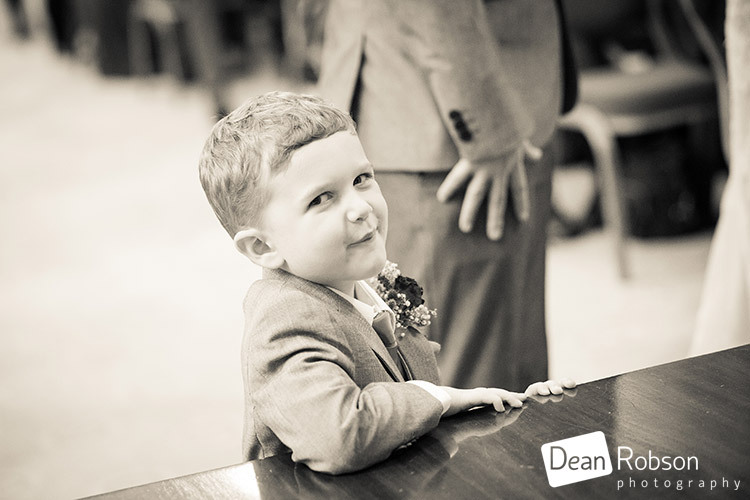 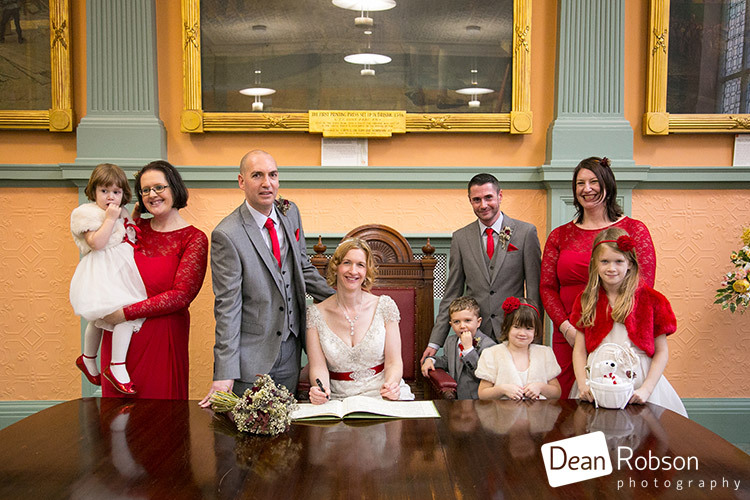 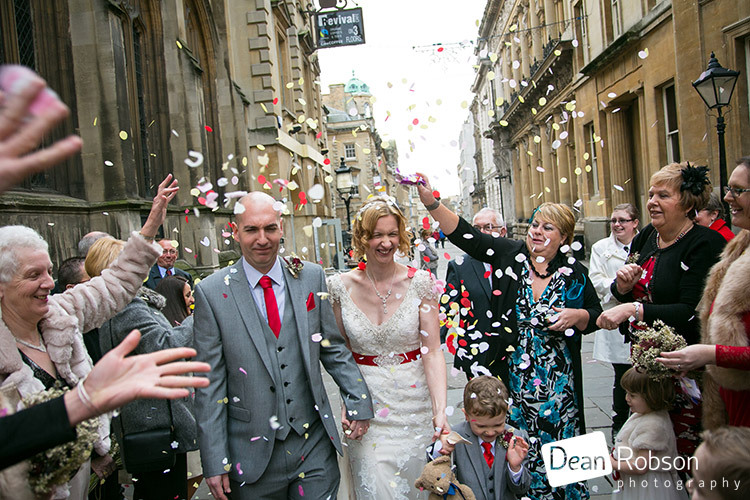 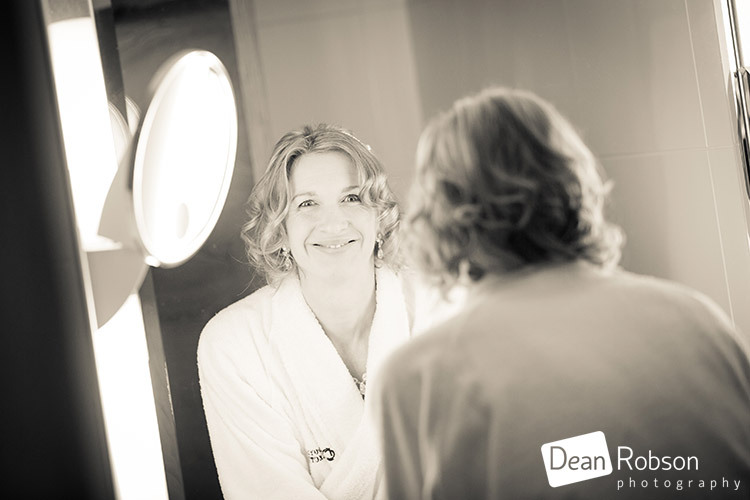 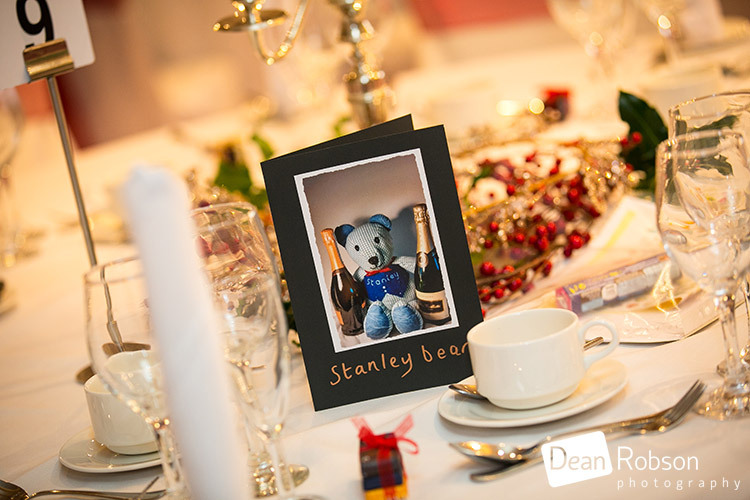 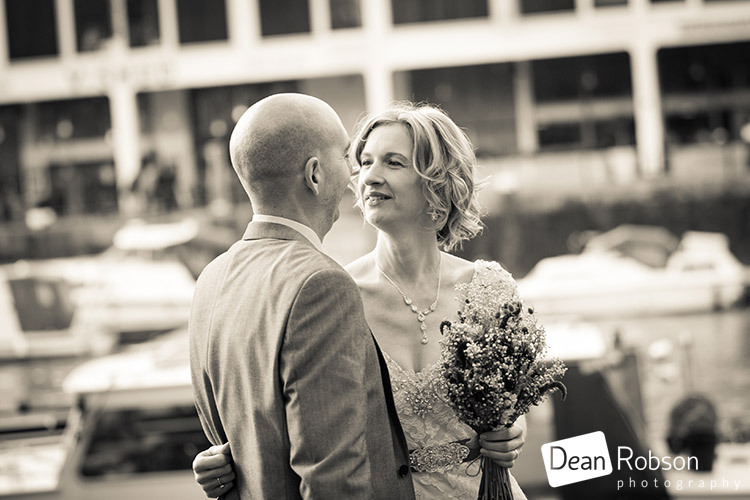 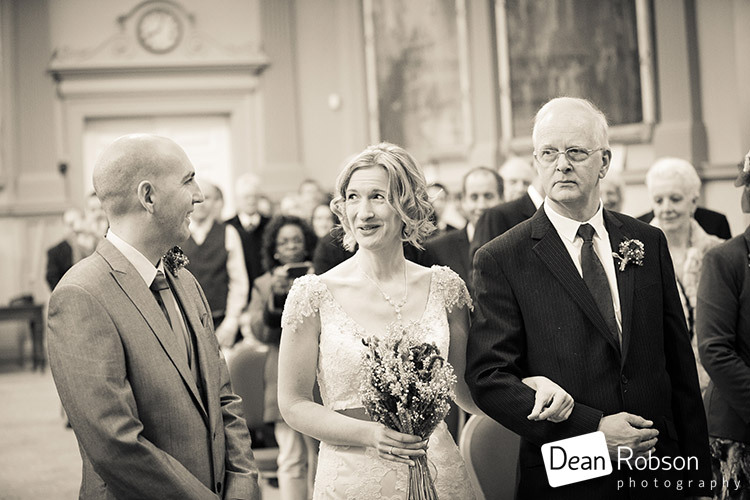 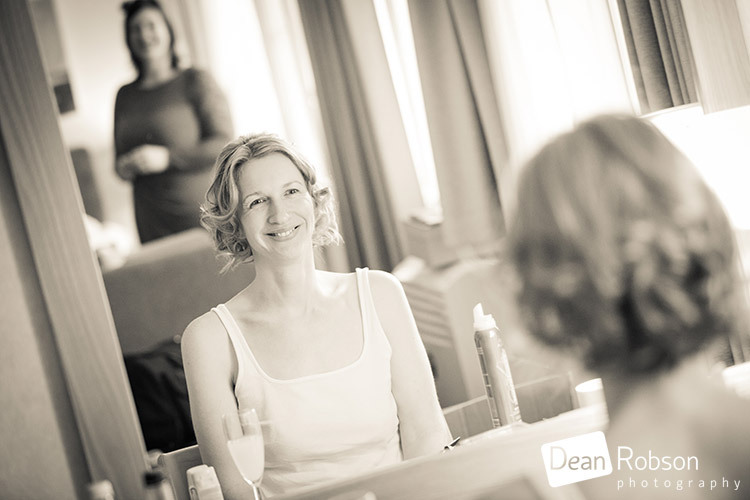 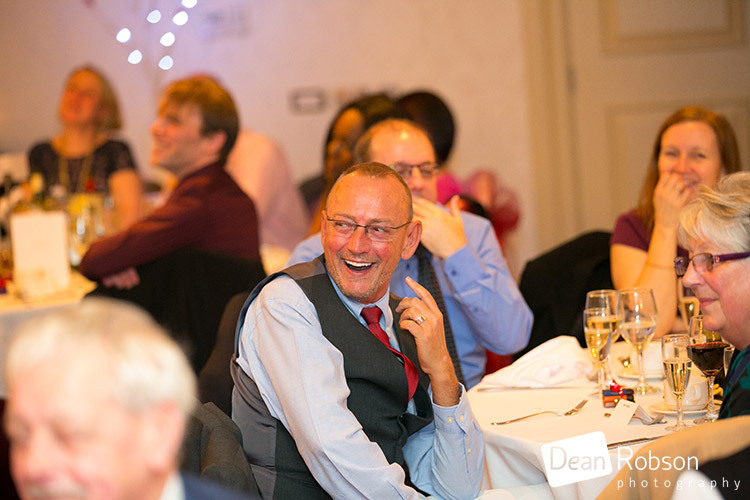 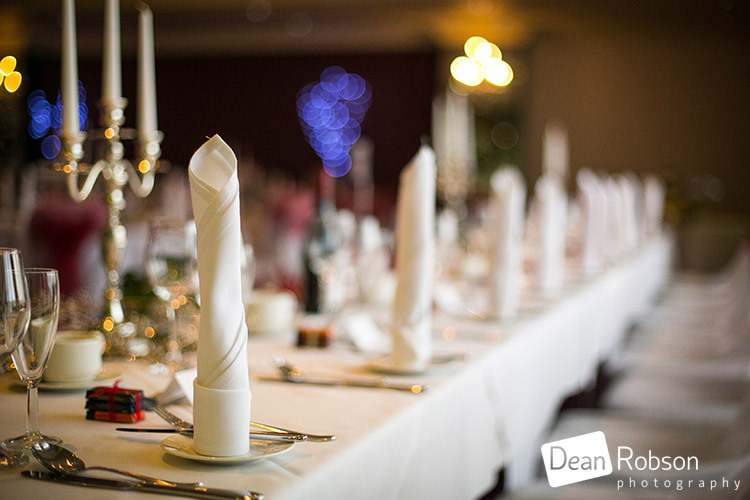 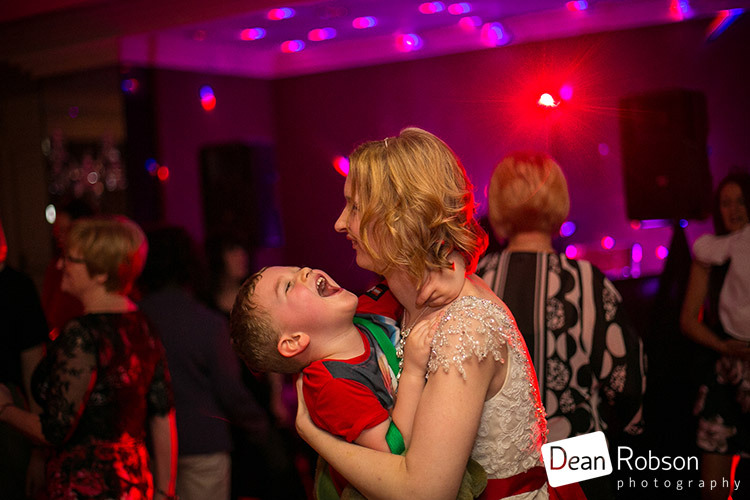 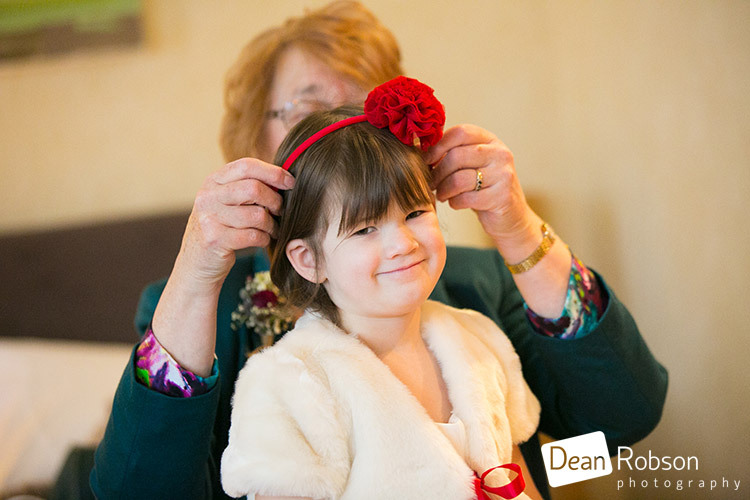 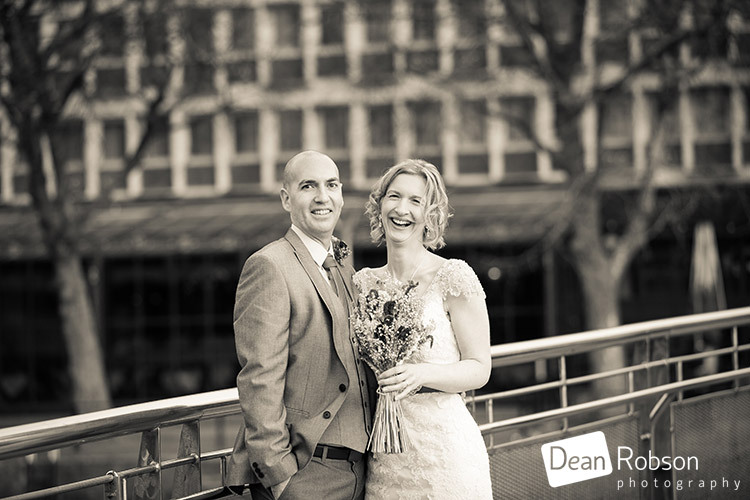 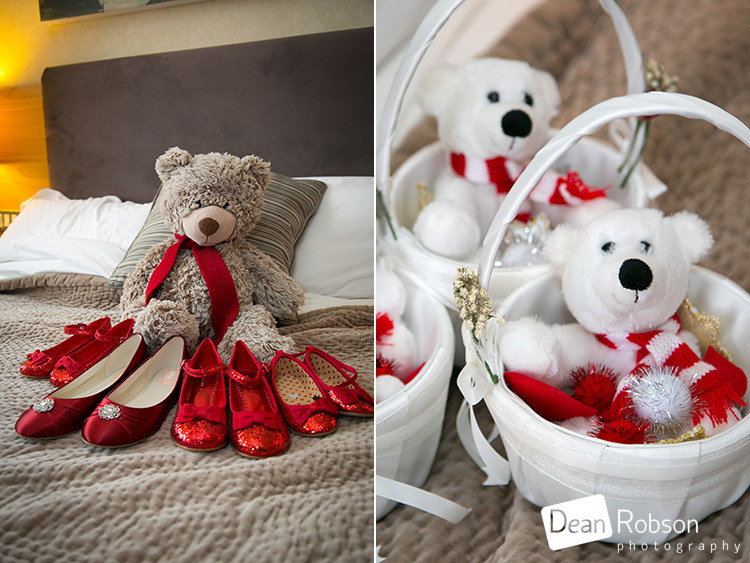 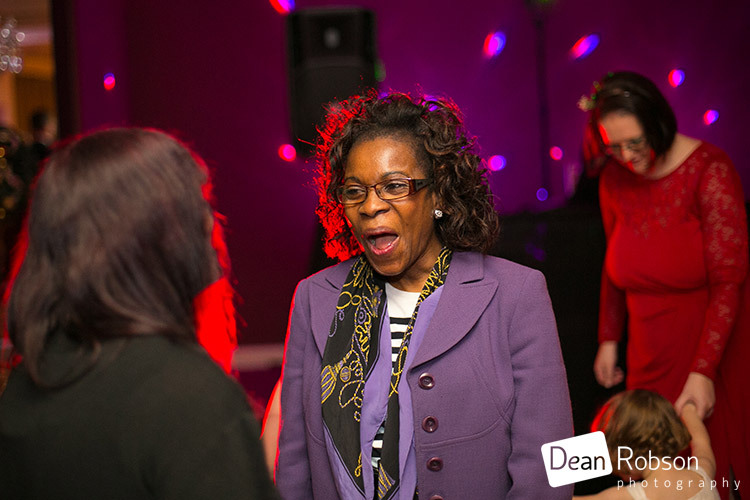 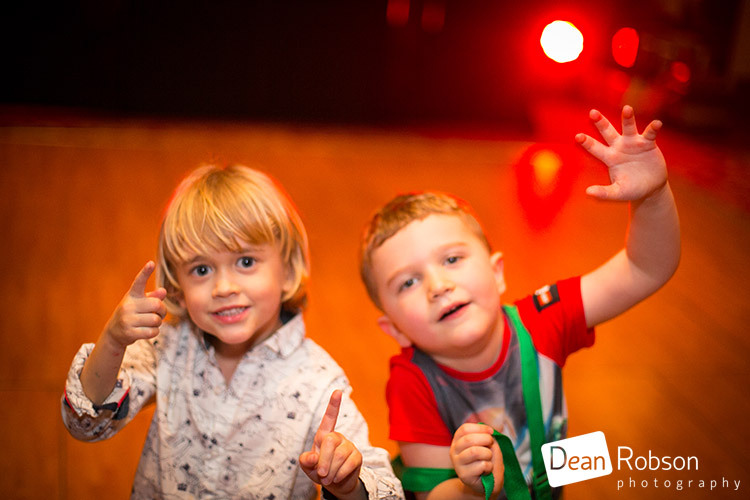 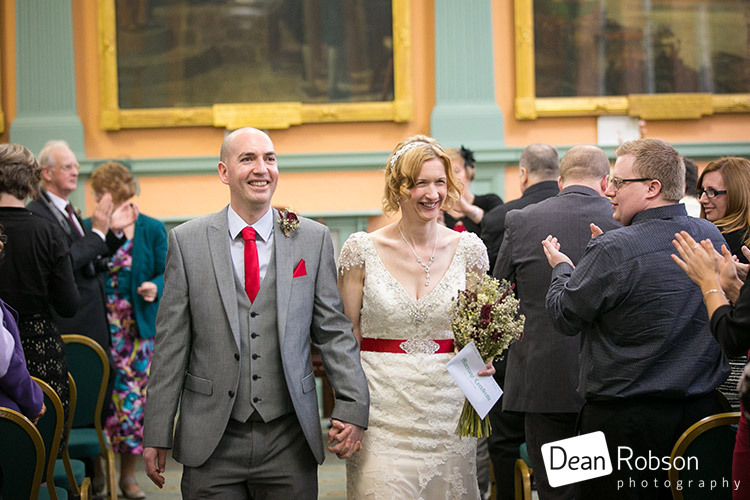 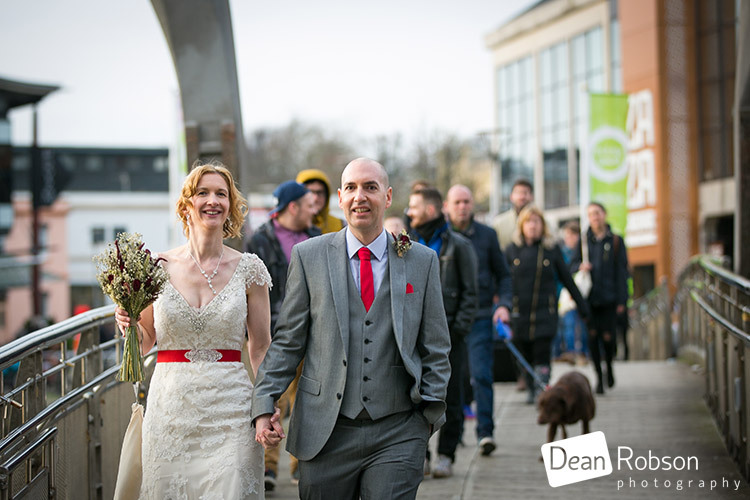 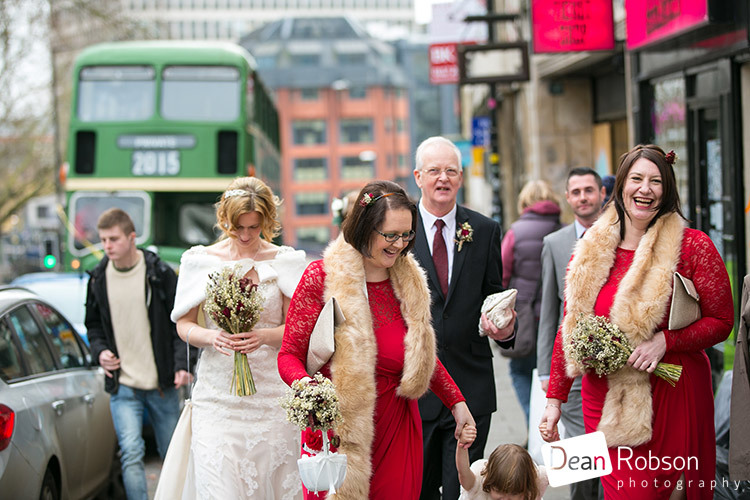 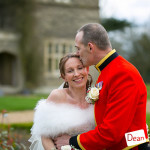 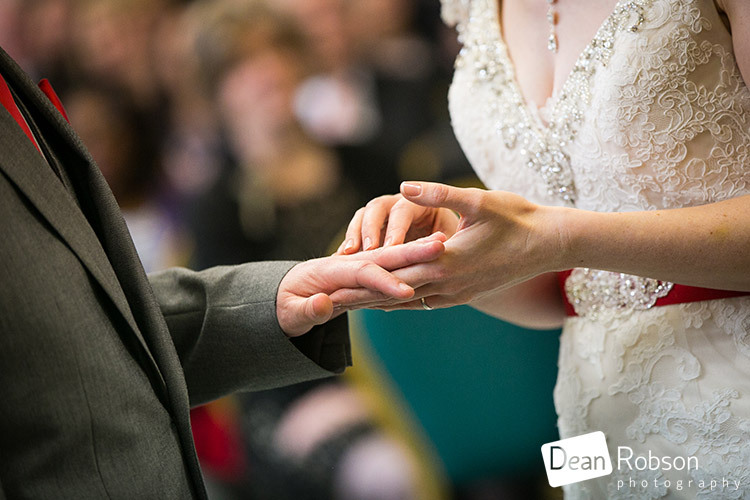 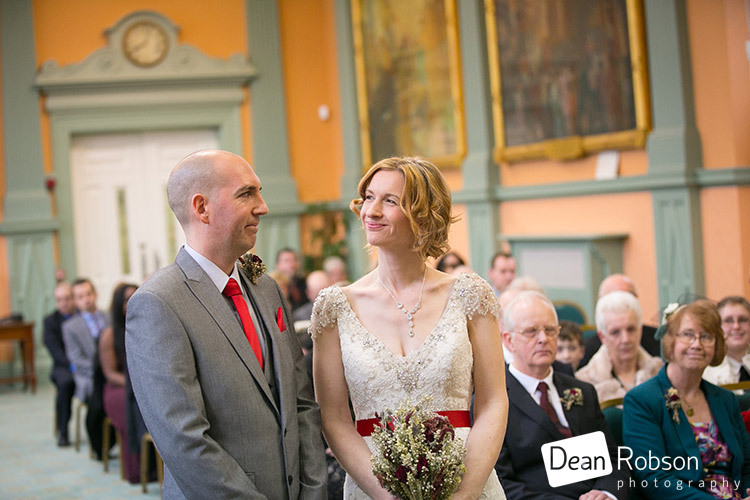 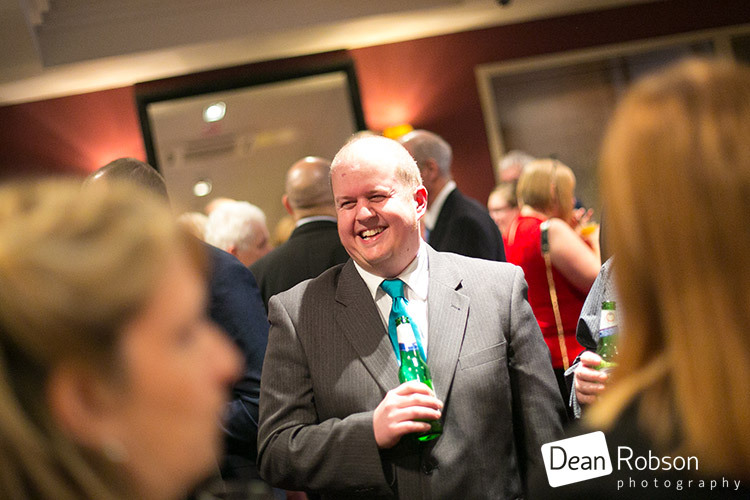 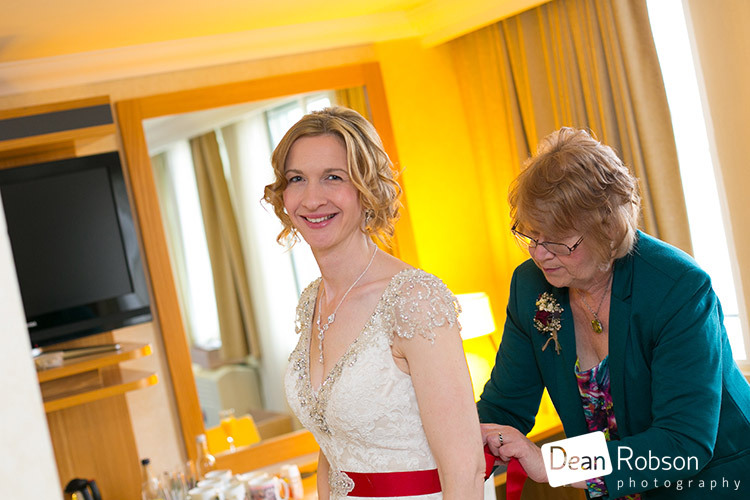 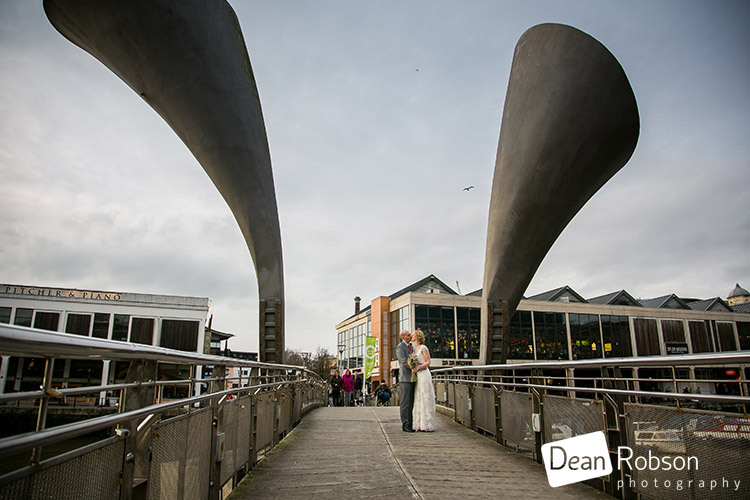 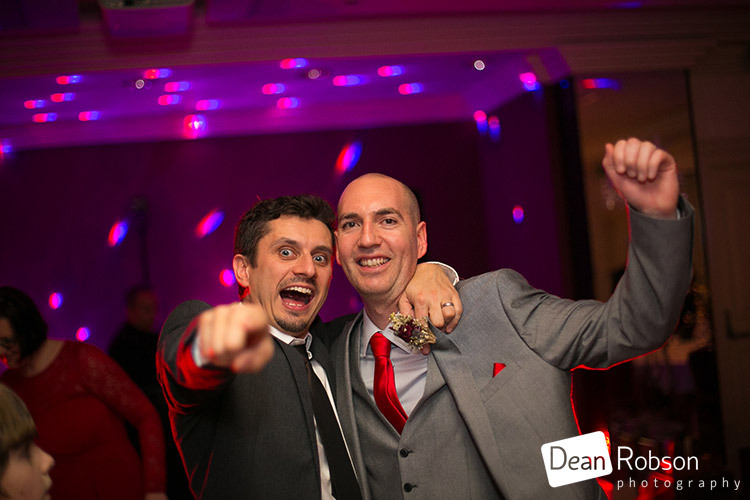 By Dean Robson LBIPP (Blog feature written January 2016) – Qualified and Professional Wedding Photographer based in Sawbridgeworth – Wedding Photography at The Bristol Hotel, December by Dean Robson Photography – Natural Wedding Photography for Hertfordshire, Essex and the South East of England.